Last night, a nurse in the high dependency ward told me I had changed so much in six months. Have I? I thought back. Just six months ago we didn't know the reason why our son stopped breathing and went blue once a week. Six months ago, four EEGs had come back normal and we had taken to videoing these ALTEs (apparent life threatening event) as the staff in A&E referred to them, in desperation that someone would know what they were and what to do. Six months ago we hadn't had the diagnosis that would change our lives. Prior to diagnosis we had first been told 'it's nothing to worry about it'll never happen again' (the first time he stopped breathing), 'it's because he is unwell, he will grow out of it', 'it's a breath holding attack' and 'the strongest human urge is to breathe-he'll be fine'. After weeks of it happening time and time again, we were told that they didn't know what was happening and because of his complex needs there was a strong possibility he wouldn't start breathing of his own accord. We were trained in basic life support and we tried to carry on living our lives. We even went on holiday. God if we realised then what we know now we would never have taken that risk. We were visiting family in Ireland, who live out in the middle of nowhere. It's an hour to the nearest city and in turn the nearest hospital. As luck would have it, on the day he had what has been his worst seizure to date, we were visiting relatives who lived next door to a paramedic! Seven minutes in he finally started breathing again. Seven minutes might not sound long but it was an eternity. You can not begin to imagine the shade of blue he had turned in that time. The 20 minute ambulance ride, with blue lights and sirens, which followed also seemed to be an eternity, but nothing in comparison to the 45 minute car journey my husband had to make not knowing whether his son would be dead or alive when he finally reached the hospital. We vowed never again to be more than the 10 minutes away from a hospital that we are used to. And months later, after diagnosis, our paediatrician confirmed that it simply wasn't safe for us to go anywhere that was any distance from a hospital. We have not attempted to leave the city since! When the diagnosis of epilepsy finally came, I expected to feel relieved. A name. A reason. A known enemy. And more importantly, something that could be treated. But in reality I was scared. If it was epilepsy then it meant it would keep happening again, at least until we'd got it under control with medication that is. Little did I know how devastating epilepsy could be. Little did I know that I was nowhere near scared enough! It's not like on the telly you know? Its not all flashing lights and convulsions. My son simply stops breathing. No twitching, no jerking. Nothing. The only other outward sign is that his pupils dilate. And of course that he turns white, then grey, then blue, then navy blue and sometimes purple. Not just a blueish tinge around the lips, his whole face and body. We have since discovered he desaturates very quickly. For those not familiar with the ridiculous amount of medical jargon that is now part of my everyday language, this means that he has little or no oxygen in his blood. This lack of oxygen quickly prevents his heart from working properly and it starts to slow down. He basically begins to go in to cardiac arrest. I genuinely never realised epilepsy could be life threatening. I doubt I would have wished so hard for a diagnosis if I had realised just how dangerous it can be. Of course, treatment is an option. Initially we were given a 50% chance that his seizures could be controlled by medication. Not the best odds I thought but a friend pointed out that before diagnosis I would've jumped at a 1 in 2 chance that he would never stop breathing again. So I perked up a bit. But this wasn't what I'd expected. I thought you could take medicine each day and that would be that. Sure, maybe a couple of attempts to find the right medicine or combination of medicines but not this; powerful drug after powerful drug being gradually introduced with sometimes devastating side effects, then slowly weaned back off them whilst gradually introducing a second. Each time losing your son for days, sometimes weeks, at a time to a drug induced haze while his brain and body adjusted to the powerful anti-epileptics, at one point, the effects of which were so severe that he lay completely lifeless in the high dependency ward for two weeks, hooked up to oxygen and tube fed. It took him a further month or more before he could hold his head up again. He is still being tube fed after not regaining the ability to swallow safely. And after all that taking its toll on his tiny body, we reach the label: 'medically intractable' –that’s epilepsy that is unlikely to ever be controlled successfully by medication. So that's where we are at now- 'the drugs don't work' as they say and we're waiting to start a trial on a ketogenic diet that may (or may not) help to control his seizures. It is hard to believe that has all happened in six months. That six months ago I didn't have this horrendous diagnosis of 'life threatened' hanging around my head, making me scared to leave the house. six months ago I didn't have to cart oxygen and a bag and mask and midazolam with me everywhere I went and my house didn't resemble a hospital ward with sats monitors and oxygen tanks and syringes and tube feeds. Six months ago I hadn't had to resuscitate my son at the side of a dual carriageway while cars drove past or bag and mask him at a friend's house after dinner. Six months ago I hadn't received booklets from well meaning nurses detailing how I could plan for his funeral. So yes, I imagine I have changed a lot in the last six months, but really, is it any wonder? Wow Emma, you guys have truly had you world changed, and at a pace you have had no control over. You are such a lovely person to talk to and always eage to offer help to others, your one super mum! Wow! What a selling time you've had. I hope that as time goes on it starts to feel easier. I hope that in time they can cure your son. Thanks Slummy to Mummy. A cure (or a reduction in severity or frequency of seizures) would be great! Holding out hope that the ketogenic diet which we'll start this week will be the miracle cure! We do live in a very heightened state of awareness Ever Hopeful Mummy. I have learnt to take calculated risks though and there are days when I can turn my back to put the washing away. There are other days though that I have to bring him with me while I go to the toilet! Nice! The Sats monitor helps too - I even managed a shower today and had the sats monitor in the doorway while he slept (the lead is very long thankfully) so I could keep an eye on his O2 levels. Sometimes I forget what an odd way it is to live. Trusting people to look after him as well as us is very difficult. So far we've not left him, we're working towards this with our local Children's hospice and with The Complex Care nurses so maybe in the future! Your post was heartrending to read. I would also be exactly the same as you..... be with him every minute of the day. I sincerely hope that the ketogenic diet is successful. My daughter used to have febrile convulsions and it was incredibly scary to see your baby like that. 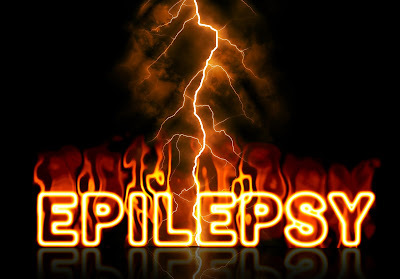 Epilepsy must be a very tough thing to live with, i have everything crossed for you !! Wow... what you have to go through it's not imaginable even for me (and I have a big imagination). Althought you don't feel strong, you are. Don't ever forget that. I just hope I won't have to go through it myself ever.